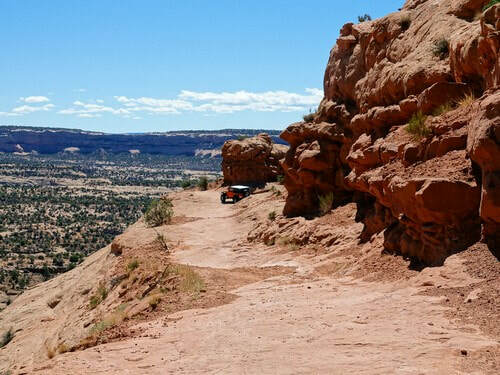 Minor rock crawling and nice scenery in a lesser used area south of Moab. 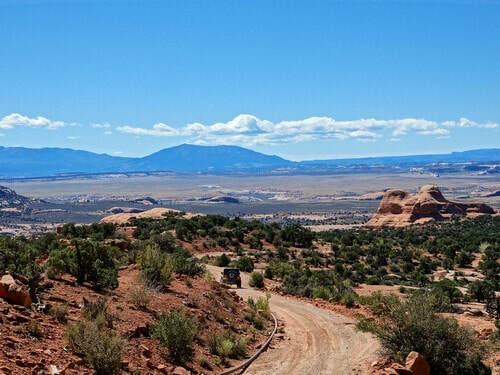 The Cameo Cliffs area has a myriad of roads left from the uranium boom. 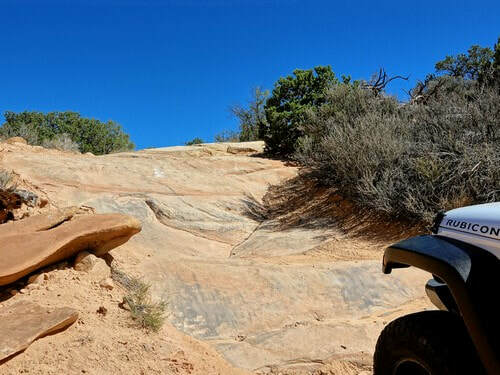 The local Jeep Club had a member named Jack that explored this area and put together a trail nicknamed "Jack's Track". This is now the Jeep Safari route. We know a character named Red who thought he could explore the area and come up with a better track. We believe he did, and we call it "Red's Route". 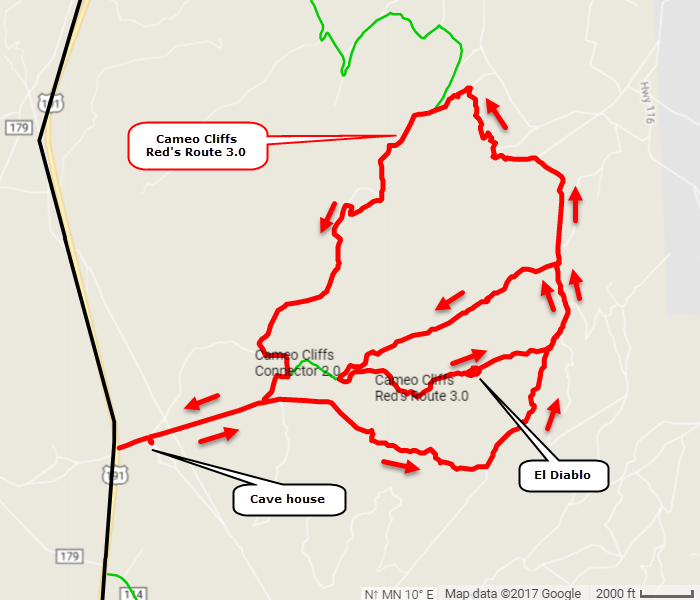 This route encompasses a smaller area by concentrating on minor rock crawling, El Diablo climb and nice scenery. Try it out and see what you think. September 2018. Red tells me the rancher now has a No Trespassing sign at the gate near the Cave House. Red said he went around to the staging area off of Steens Road. 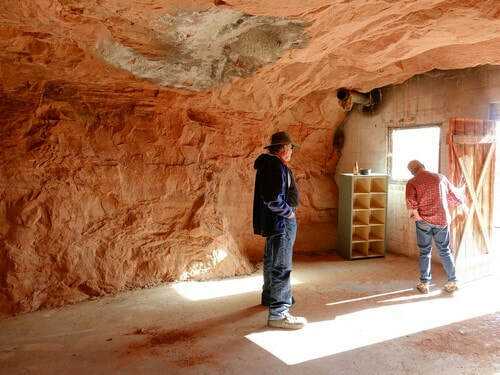 A small group can air down at a cave house just a quarter mile from the highway. The nicest room is shown in this photo. The other appears to have been used for livestock. 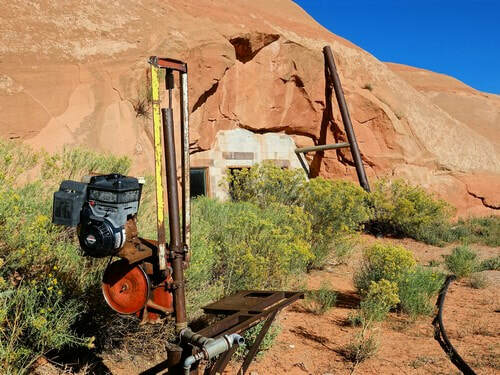 Note the unique stovepipe arrangement outside the cave. Much of this run is up and down hills, in and out of valleys and out across open desert. 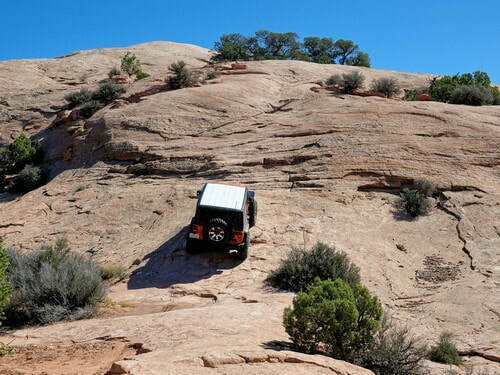 There are minor rock crawling challenges around every corner. 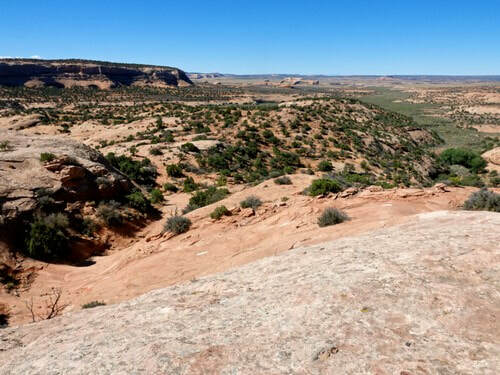 The major obstacle on this trail is El Diablo, a steep climb up a slickrock hill. This is shown in the opening photo on this webpage. It does have a bypass, but it is not a lot easier. 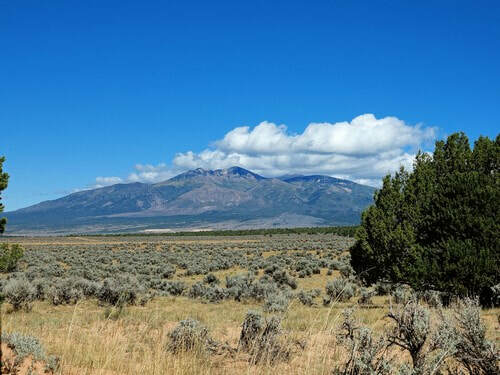 ​There is a short piece of shelf road on the western leg. The run is not all about rock crawling - there are also nice views. We suggest you run the trail as indicated by the arrows. 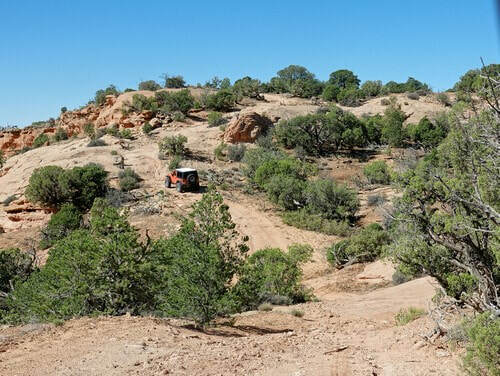 Although this has you traverse a 3/4 mile section twice, it takes you uphill over El Diablo.